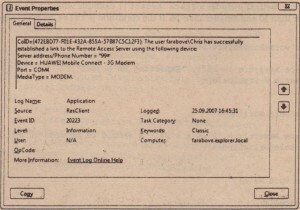 shows an example of a log entry from a modern. For custom event logging, you can use classes from the Sys tern. Diagnos tics namespace. 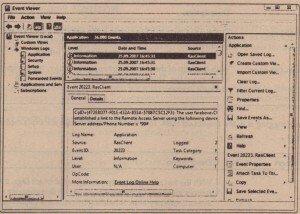 The event log information is stored in several log files. The most important ones are application, security, and system. Looking at the registry configuration of the event log service, you will notice several entries under HKEY_LOCAL_MACHINE\System\CurrentControlSet \Services \Eventlog with configurations pointing to the specific files. The system log file is used from the system and device drivers. Applications and services write to the application log. 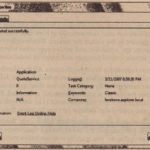 The security log is a read-only log for applications. The auditing feature of the operating system uses the security log. Every application can also create a custom category and log file to write event log entries there. For example, this is done by Windows OneCare and Media Center. ¤ Date – Date and TIme show the time when the event occurred. ¤ Below this key, the value EventMessageFile is configured to point to a resource DLL that holds error messages. ¤ Event identifier – The Event identifier specifies a particular event message. The System. 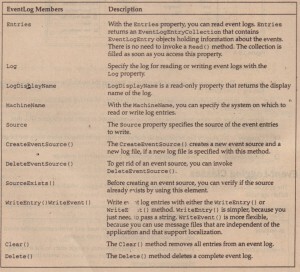 Diagnosticsnamespace has some classes for event logging, which are shown in the following table. The heart of event logging is in the EventLog class. The members of this class are explained in the following table. Before writing events, you must create an event source. You can use either the CreateEventSource () method of the EventLog class or the class EventLoglnstaller. Because you need administrative privileges when creating an event source, an installation program would be best for defining the new source. “Deployment,” explains how to create installation programs. application categories. Examples of names for event log sources are LoadPerf for the performance monitor, MSSQLSERVERfor Microsoft SQL Server, Msilnstaller for the Windows Installer, Winlogon, Tcpip, Time-Service, and so on. Setting the name Application for the event log writes event log entries to the application log. You can also create your own log by specifying a different application log name. Log files are located in the directory <windows>\System32 \WinEvt \Logs. WriteEntry () requires a parameter of the source. 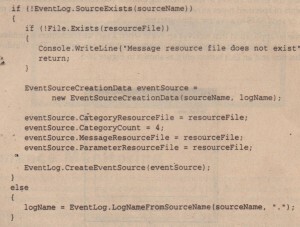 The source can also be set with the constructor of the EventLog class. Here in the constructor, the log name, the local machine, and the event source name are defined. Next, three event log entries are written with the message as the first parameter of the WriteEntry () method. WriteEntry () is overloaded. The second parameter you can assign is an enumeration of type EventLogEntryType. With EventLogEntryType, you can define the severity of the event log entry. Possible values are Information, Warning, and Error, and for auditing SuecessAudi t and FailureAudi t. Depending on the type, different icons are shown in the Event Viewer. With the third parameter, you can specify an application-specific event ID that can be used by tlu. application itself. In addition to that, you can also pass application-specific binary data and a category. 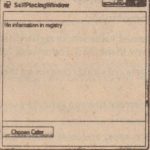 A message file is a text file with the mefile extension. 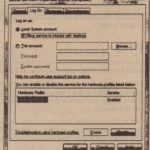 The syntax that this file uses to define messages is very strict. 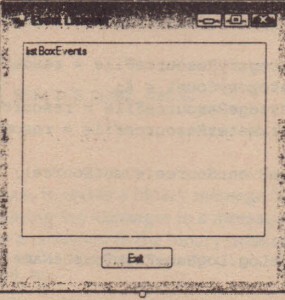 The sample file EventLogMessages .me contains four categories followed by event messages. 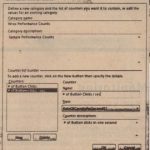 Every message has an ID that can be used by the application writing event entries. Parameters that can be passed from the application are defined with’ syntax in the message text. Could not connect to server %1. created because it does not exist, the next check verifies if the resource file is available. Some samples in the MSDN documentation demonstrate writing the message file to the <windows>\system32 directory. but you shouldn’t do that. Copy the message DLL to a program-specific directory that you can get with the SpeeialFolder enumeration value ProgramFi les. If you need to share the messages file among multiple applications, you can put it into Environment. SpedalFolder. 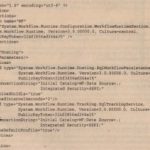 CommonProgramFiles. If the file exists, a new object of type EvetltSoureeCreationData is instantiated. In the constructor, the name of the source and the name of the log are defined. You use the properties CategoryResoureeFile, MessageResourceFi1e, and ParameterResourceFile to define a reference to the resource file. After the event source is created, you can find the information on the resource files in the registry with the event source. The method CreateEventSource registers the new event source and log file. Finally, the method RegisterDisplayName () from the EventLog class specifies the name of the log as it is displayed in the Event Viewer. The ID 5001 is taken from the message file. If you want to delete a previously created event source, you can do so with EventLog . DeleteEventS ouree (sourceName) ;. Todelete a log, you can invoke EventLog . Delete (logName) ;. Now, you can use the wri teEvent () method instead of Wri teEntry () to write the event log entry. WriteEvent () requires an object of type Eventlnstanee as parameter. With the Eventlnstanee, you can assign the message IO, the category, and the severity of type EventLogEntryType. In addition to the Eventlnstanee parameter, WriteEvent () accepts parameters for messages that have parameters and binary data as byte array. Eventlnstance info1 = new Eventlnstance(lOOO. 4. EventInstance info2 = new EventInstance(l001. 4. Eventlnstance info3 = new Eventlnstance(1002. 3. For the message identifiers. it is useful to define a class with const values that provide a more meaningful name for the identifiers in the application. Instead of using the Event Viewer to read event log entries. you can create a custom event log reader that listens for events of specified types as needed. You can create a reader where important messages pop up to the screen. or send SMS to a system administrator. consistaof a list box and an Exit button only. as shown in Figure 18-5.
can add an event handler for the EntryWritten event of the EventLog class. Add a handler with the V•name OnEntryWritten () to this event.